The following are examples where my microscopy images and illustrations have been used in books, articles, and websites. This choanoflagellate image won second place in a Zeiss imaging contest and was used on their website and as the cover of this eBook. 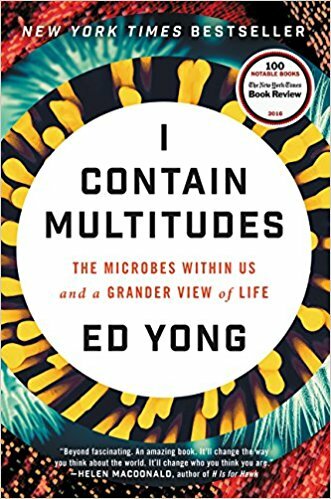 Ed Yong used my image in his book "I Contain Multitudes" to depict a choanoflagellate colony. When the NyTimes did a book review, they selected my image out of the book for their article. This image of sponge choanocytes was selected as one of the first HHMI Image of the Week. The illustration of a Mono Lake choanoflagellate colony with bacterial community is being used as the cover of the King Lab website. The BBC World Service did a discovery special covering choanoflagellates and used a confocal image of a choanoflagellate colony from Mono Lake as the cover art. 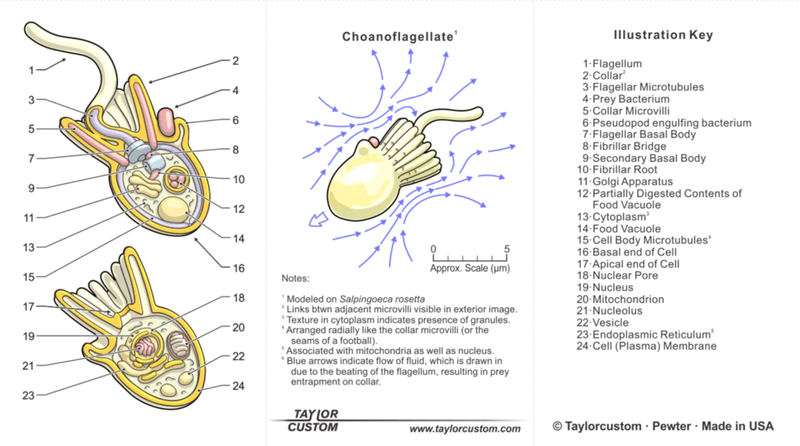 I collaborated with Taylor Customs to design a choanoflagellate keychain. My role was to provide design input on what would look nice as a keychain while maintaining scientific accuracy based on current knowledge of cellular structures in choanoflagellates. © All rights reserved by Kayley Hake.